Universal Danger Bricks  Dont get crushed! Discussion in 'iPhone and iPad Games' started by danielhannih, Aug 11, 2016. 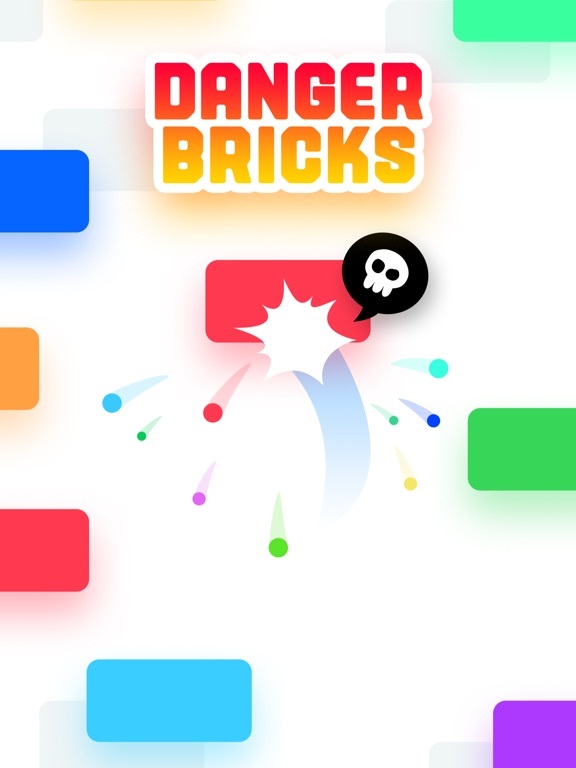 Danger Bricks  Dont get crushed! The goal is to get up as far as possible. Tap and swipe to control your ball. Lets try it out! 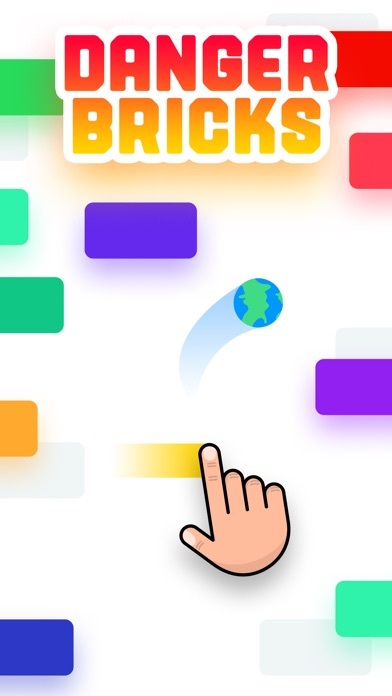 Swipe and jump to the top without smashing into the moving color bricks. Only the brave and skillful players will find out what awaits them at the top. Are you one of them? Its the ultimate skill challenge - You choose your favorite ball like the Basketball or the Sushi-Ball and try to jump up as far as you can. It takes a lot of practice to be the master of the bricks. Show off your skills and climb the global leaderboard. Will you succeed? Challenge players from across the world to see whos the most skilled player of them all! 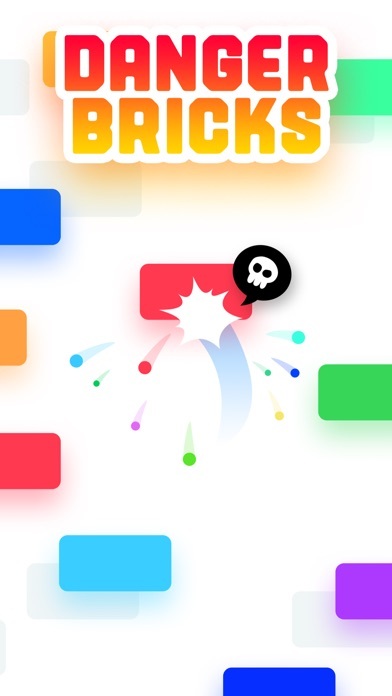 Connect to Game Center and invite your friends to see how you compete against them. Let the games begin! **Danger Bricks is designed and optimized for iPhone 6, iPhone 5, iPad 3, iPad mini 2 and iPod Touch 5G or newer. You can try it on older devices, but we can't guarantee a smooth endless arcade experience! 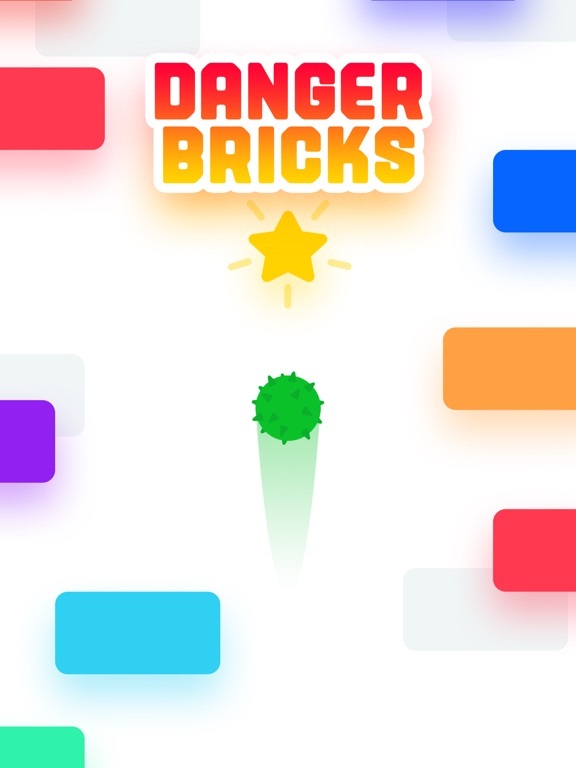 Danger Bricks is completely free to play, but there are optional in-app purchases available to stack up your stars. Either way, get ready to jump and swipe to the top without crushing into the color bricks! 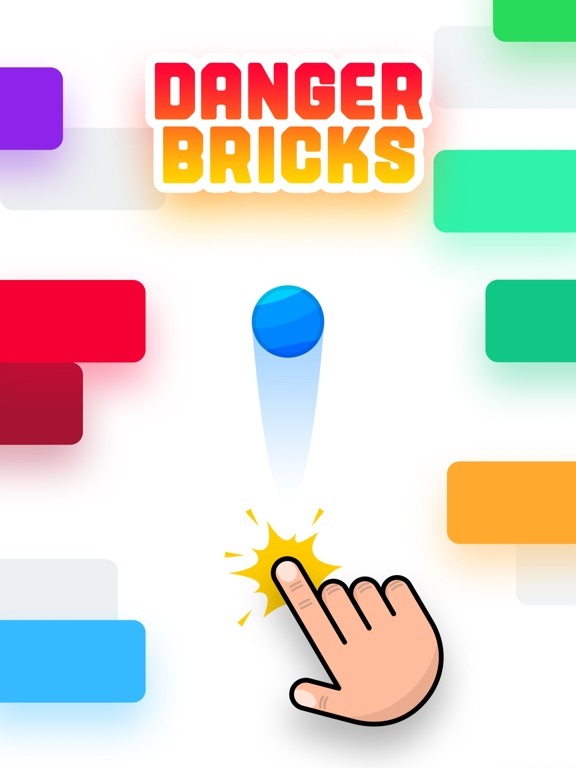 Have fun playing Danger Bricks! The goal is to get up as far as possible. 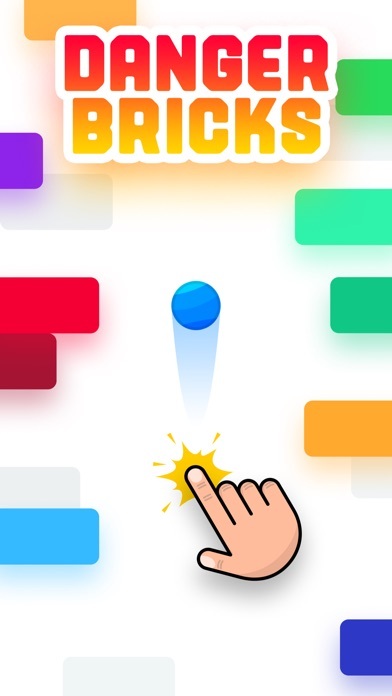 Tap and swipe to control your ball. Let’s try it out! 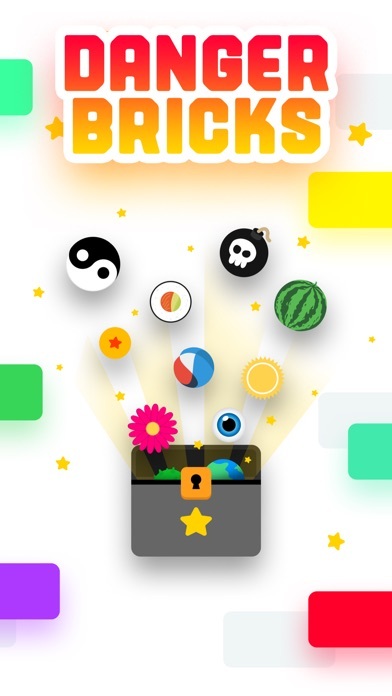 Game Features: - Global Leaderboard - Beautiful Minimal Art Style - Simple 1 Touch Controls - Endless Gameplay - Easy to Pick Up and Play, yet difficult to master JUMP & WIN! 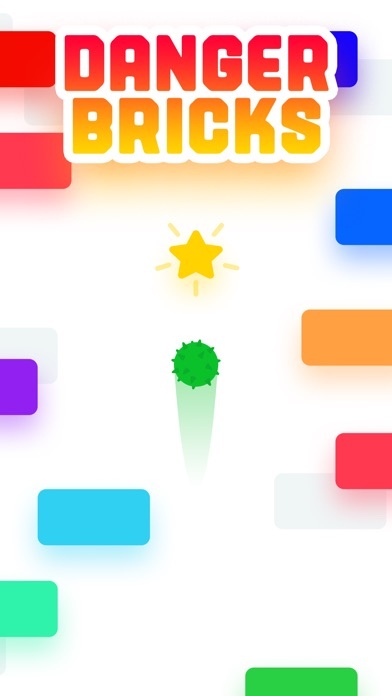 Swipe and jump to the top without smashing into the moving color bricks. Only the brave and skillful players will find out what awaits them at the top. Are you one of them? CHOOSE YOUR CHARACTER! It’s the ultimate skill challenge - You choose your favorite ball like the Basketball or the Sushi-Ball and try to jump up as far as you can. SHOW YOUR SKILLS! It takes a lot of practice to be the master of the bricks. Show off your skills and climb the global leaderboard. Will you succeed? CHALLENGE OTHER PLAYERS! Challenge players from across the world to see who’s the most skilled player of them all! Connect to Game Center and invite your friends to see how you compete against them. Let the games begin! **Danger Bricks is designed and optimized for iPhone 6, iPhone 5, iPad 3, iPad mini 2 and iPod Touch 5G or newer. You can try it on older devices, but we can't guarantee a smooth endless arcade experience! 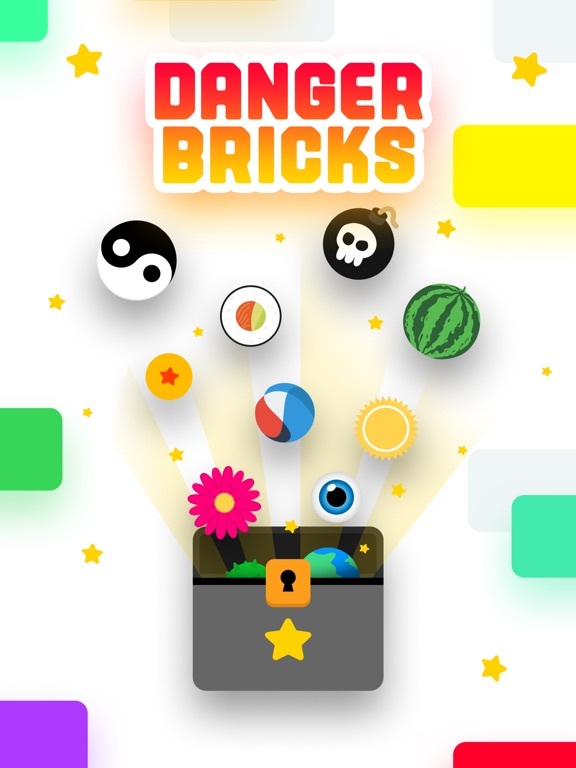 Danger Bricks is completely free to play, but there are optional in-app purchases available to stack up your stars. Either way, get ready to jump and swipe to the top without crushing into the color bricks! 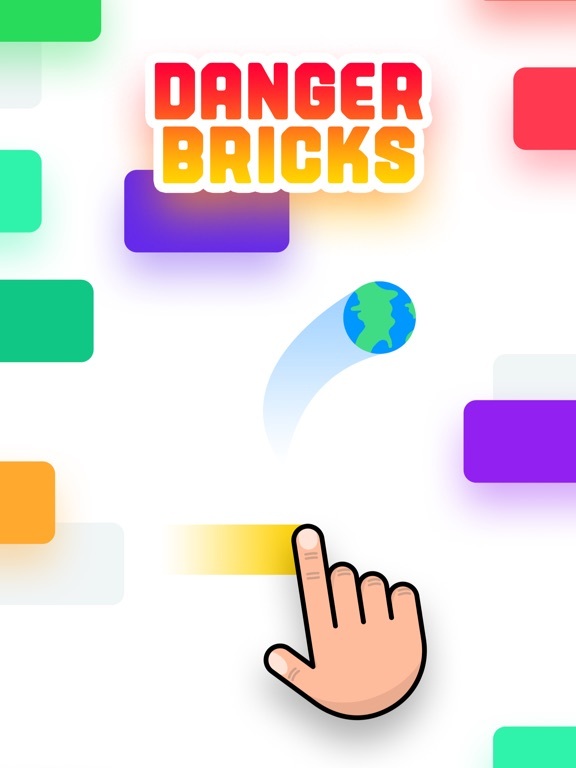 Have fun playing Danger Bricks! I would appreciate all feedback and critiques! Also if you have any questions, feel free to message me! It looks so simple at first but it gets pretty challenging! Great endless arcade runner/jumper. Good job! Are you an indie game developer? Or is there a whole studio behind this game? Gosh, the game looks great but it's freakin challenging! But anyway, how did you manage to create this game by yourself? I mean all the graphics and sounds and videos. It must be a s***load of work for only one guy? Yep haha. It is. But being able to create the game that you want to play, that's the greatest feeling ever! Only one more question: how long have you been working on this? Thank you!